2015 offers a host of formidable challenges which both suppliers and distributors alike inevitably face. In times like this, companies naturally gravitate to different levers like product innovation, operational efficiency, brand image, information, etc. There’s one source of competitive advantage that doesn’t usually get the same level of management attention – distributor partners. Compelling evidences are undeniable. Great distributors are better at delivering value propositions to customers. Key to realizing this, is effective distributor management. However, this remains a contentious issue today despite advances in selling knowledge and tools. This usually happens when sales managers focus largely on results rather than in ensuring they have a well-oiled machine in their distributors. Many distributors express despair over the type of relationships they experience with their principals who mostly employ coercive rather than collaborative approach that fosters long-term growth. While this phenomena of principal-distributor relationship has been given a rather regular and empirical attention in the marketing literature, little has been done in providing fundamental structured procedures in managing distributors as real partners especially in Asia, where distributors are still primarily viewed as wholesalers. The overarching concept of a collaborative relationship is to treat each distributor as an extension of the company and not another lip service customer. This perspective is inherently important in the Principal-Distributor relationship because a good alliance demands high levels of trust, alignment, and commitment. A principal who views his distributor as a trusted allied partner, consistently invests in the organizational and operational capabilities of the distributor partner through training, guidance, motivation, innovation and other forms of enablement. Likewise, the distributor reciprocates by also investing for needed resources to achieve joint objectives and sustain the business. Meaning, the allied relationship is a two-way street with greater accountability and responsibility. It contrasts the traditional approach which views distributors like wholesalers whose performance is based chiefly on the hard targets of volume ordered and ability to pay on time. Common manifestations of this old mindset can be observed from untrained distributor managers who: have no idea where their distributors sell their products; can’t tell the performance of each distribution area, channel segment, and each customer; don’t have good information about the selling prices down the different channel levels; don’t know why their sales grows or declines; are focused on securing sales orders from distributor to hit sales targets and earn their commission; have tendency to frequently dump stocks resulting to overstocking in distributor’s warehouse; are unable to provide clear and effective sales plans and how to achieve sales and distribution objectives; do not go with distributor’s salesmen on the field to help resolve trade issues, gather information, develop customer relations; do not have a clear understanding of the distributor’s customers and their issues, their competitors and strategies, resulting to a very myopic view of the business. To help companies in their desire to forge a more collaborative relationship with their distributors, through Mansmith & Fielders, I wrote a book entitled: “Distributor Management: Winning tools in managing distributors as partners.” Although I run seminars, coaching and consulting services on the subject, many urge us to put the fundamental knowledge in a book for wider reach and benefit. So, it’s finally here and available in all National Bookstore outlets. It is a book which aims to help Distributor Managers go back to the basics on how to effectively manage distributors as partners. 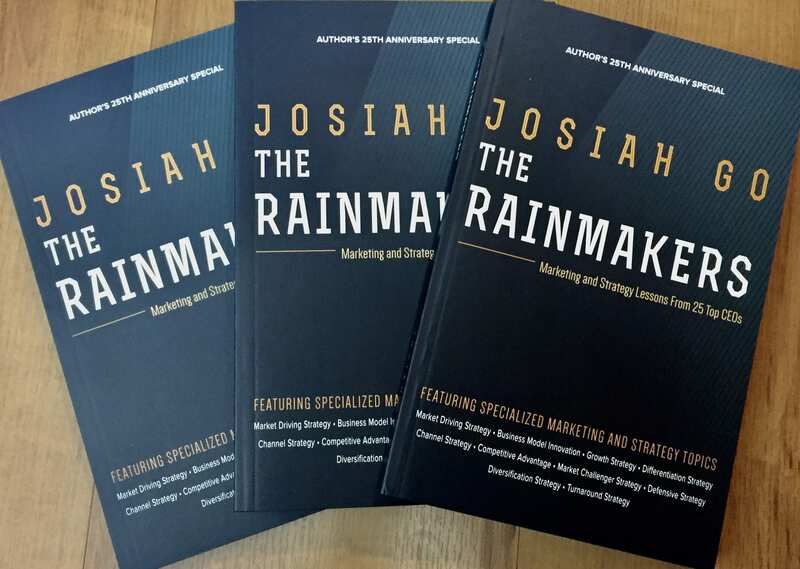 Operational frameworks, guide procedures, templates are generously included to help readers learn and immediately apply the essential elements in managing a distributor partner. My favorite topic is in chapter 5 of the book called, ‘The Daily Discipline of a Distributor Manager.’ It details what I basically inherited from my sales mentors while I was starting out as a Distributor Specialist in my sales career. When the structured routines and procedures are religiously followed to form right habits, over half of your operational and relationship issues will be solved. Charles Duhigg, in his book entitled THE POWER OF HABIT: Why We Do What We Do In Life And Business, explains that habits are formed through a sequence of automatic routine actions. When our daily routine becomes a habit, we do not have to constantly think about basic behaviors like what to do first thing in the morning, or when in a Distributor’s office. When you have a framework that you can routinely follow, you will develop habits and increase your brain’s capacity to do more. I have also included very important templates like the Territory & Distributor Fact Books, Check-Point Meeting forms, Cycle Plans, and basic financial metrics useful in understanding the distributor’s business health.